In 1989, an adolescent schoolboy from downtown Srinagar watched as his elders extricated themselves from university campuses, high-school grounds, hand-loom machines and farms to bear arms and fight a war of attrition against the Indian state. 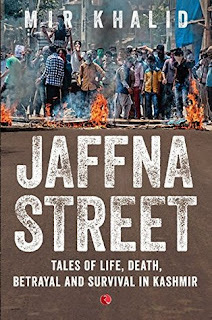 Twenty-two years on, Jaffna Street was born from his explorations of the human dimension of the conflict appositely termed the Kashmir tragedy. Combining anecdotes, personal memories and extended interviews, the author takes us behind the scenes and headlines into Srinagar city’s ‘notorious’ perpetually politically charged downtown as well as its upper city-side belt to create a panoramic portrait of recent Kashmir history. He profiles ordinary people—hit-men, insurgents, artisans, failed Marxist intellectuals, mystics, exiles, gangsters and ordinary individuals—who wouldn’t make it even to the footnotes of history but have been crucial first-hand witnesses, participants or victims of some of the important events that marked the tumultuous and violent years of the insurgency. Dr Mir Khalid was born in 1974 in a prominent civil services’ family from downtown Srinagar. He attended the city’s prestigious Irish Catholic Burn Hall School before training in medicine. His clinical research has appeared in the British Journal of Surgery. 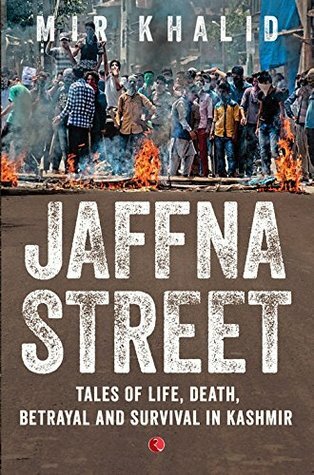 Jaffna Street is his first foray into English non-fiction writing. Previously he has published an anthology of Urdu poetry, Asbaat Khudi (2011). He, along with his family, currently lives in Jeddah, Saudi Arabia, where he is employed as a general surgeon. His next literary foray is a novel dealing with blighted human relationships. "Kashmir" the word itself is enough to draw extreme reactions from both India and Pakistan. And somewhere I strongly feel that over the period of time the core issue has got diluted with only the misunderstandings and misinterpretations left. Very few amongst us might actually remember how it all started in 1989 or the bloody 90s as it is called in the Valley. This book is a reminder to all of us who need to refresh their memory or who are keen to know what actually happened. This book is a collection of 17 stories or incidents based on various people from Kashmir who range from common man to hit-man. We get to know the stories of artisans whose livelihood is lost, of Pandits who are suddenly homeless with nowhere to go, of gangsters who pursue their belief blindly and amongst them a common man who just wants to lead a peaceful life and is unable to understand the why, what and how of the whole issue. The first eight stories categorized under the segment "The War" , tell us how it all started. The stories of horror unfolding bit by bit and long before they realize everything around them is hit. Taking us through streets of Srinagar, the author manages to recreate Kashmir in his words completely intact with its beauty and ugliness both intact. What makes this read a profound one is the fact that instead of allowing his views /opinions over ride the narrator's version the author ensures the original tone is intact throughout the whole book. This makes a poignant read as they bare their hearts without any holds barred. The narrative full of anecdotes, interviews and personal stories warms your heart as you see life as they see it. The second segment covers the period before 1989 and post independence. Aptly titled "Reveille" we get to see a very different Kashmir in this portion. A Kashmir which was united and basked in peace. One that was true to the saying, "If there is ever a heaven on earth, its here...its here....its here" said by Mughal Emperor Jahangir. The third section "The past as memory" talks about the pre-Independence era clearly depicting how deeply their lives were impacted with the Partition post which the cracks just kept widening. I love the hope that keeps seeping in throughout the book, a hope that one day Kashmir will be peaceful again. The author has done a magnificent work in this book, one that I would strongly recommend to one and all. Each and every chapter is a gem, one that gives you a glimpse into relationships and showcases humanity at its prime (for best or worst, is something I leave on you to decide). Don't miss reading this gem of a collection, brilliantly written and narrated! 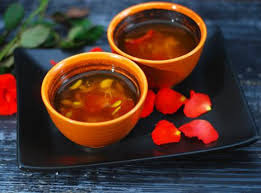 This book is like Kahwa - delectable, flavourful in every sip!